We’ve got a lot of really great things to say about Medical Guardian, our number one medical alert system choice for older adults who want to remain independent in their home. 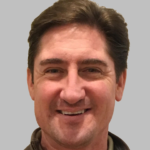 We have shared our Medical Guardian review, which includes everything they have to offer and they have also shown up on our blog a couple of times (Conversation With Geoff Gross – CEO Of Medical Guardian, Medical Guardian Is Re-Writing The Narrative On Medical Alert Systems). It seems there is no shortage of great things to say about Medical Guardian and we have another one to share. Medical Guardian won the Silver Stevie® Award in Healthcare, Pharmaceuticals, and Related Industries category. 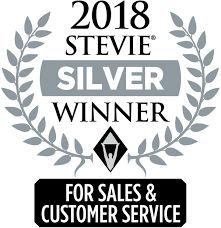 What is a Silver Stevie® Award? The Stevie Awards were created in 2002 as a way to honor companies and individuals in the business world for their hard work and dedication. Browse the 2018 Stevie Awards and you’ll discover that a wide variety of industries are represented, including the medical field. Winning a Silver Stevie® award is a big deal because over 2,500 organizations were nominated for an award. In addition, an awards ceremony and gala event was held at Caesars Palace in Las Vegas, Nevada. What makes Medical Guardian’s customer service stand out? We review many categories on our website when determining the overall score for the medical alert systems we recommend. Although taking the time to consider things like equipment and setup are important, no other category trumps customer service. After all, it doesn’t matter how high-tech your medical alert device is if someone isn’t available to help you when you need it the most! One of our favorite things about Medical Guardian’s customer service is the fact that they really do care about their customers. After contacting their monitoring center, one of their friendly agents will call and check in on you later to make sure everything turned out okay. 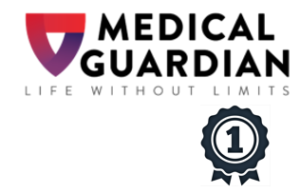 We’re proud to endorse Medical Guardian on our website, and we’re happy to say we aren’t the only ones who recognize the quality of service they have to offer. If you or a loved one is in need of a medical alert system, give them a try and you won’t be disappointed!